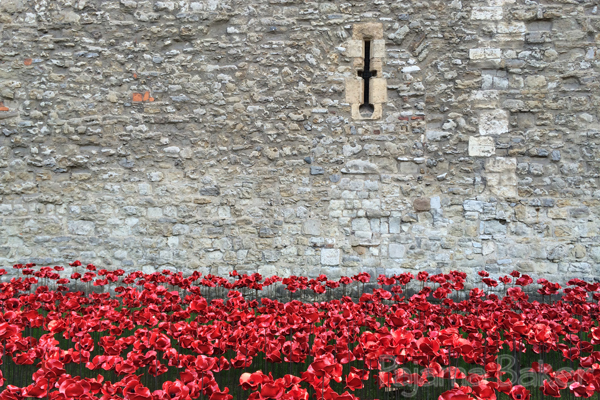 This year marks the 100th anniversary of when Britain entered into WWI. 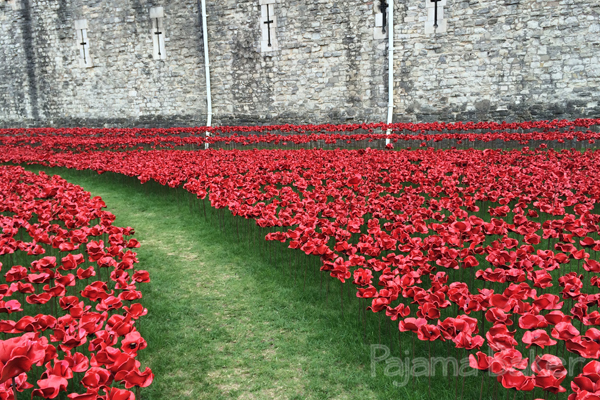 As a part of the remembrance activities, the Tower of London is installing over 880,000 ceramic poppies around the moat. The poppies were designed by a British Artist named Paul Cummins. Each day, about 8,000 poppies are “planted” by volunteers so that the sea of red grows up until Remembrance Sunday in November. The project has gotten a ton of press, and the sight is truly something to behold. They come spilling out of some of the Tower’s windows in what is actually a quite emotional installation. In order to plant all of the poppies, the Tower is looking for volunteers, so Ben and I took the opportunity to give back some of our time while spending a (luckily) sunny afternoon in one of our favorite parts of the city. 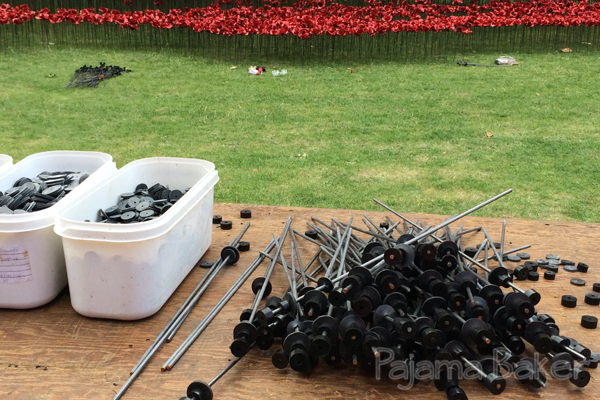 During our four hour shift, the team delicately planted 4,000 poppies! 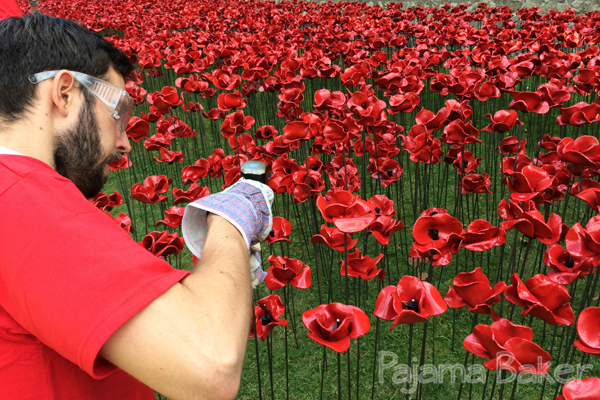 We had to assemble the stems that the poppies rest on, which are at different heights to give the poppies their cascading effect en mass. The stems were then hammered into the ground, with the poppies nestled gently between two washers. 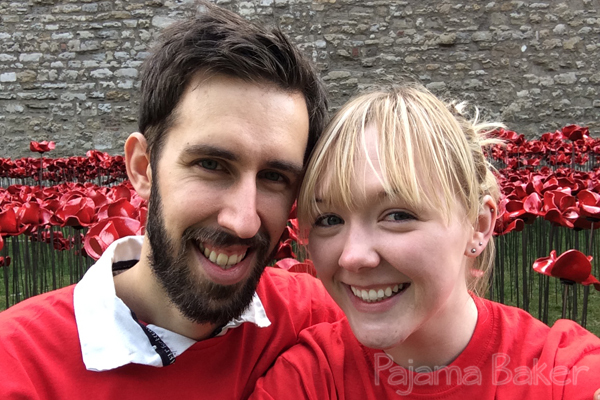 We also got to spend some time wandering around the moat to see all of the poppies and take some up close shots…. All in all, a great afternoon spent for a great cause. 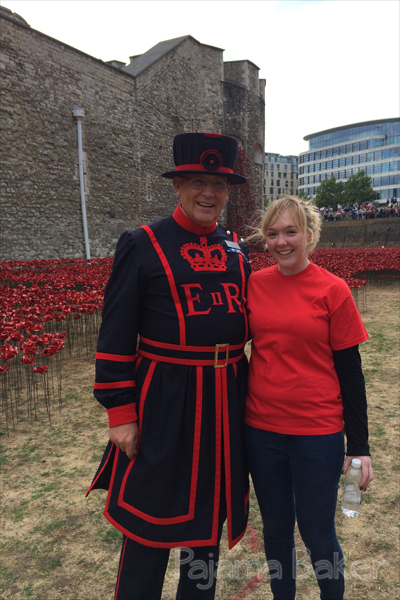 To read more about the Tower of London poppies, or if you’d like to volunteer, check out the Historic Royal Palaces website! Thanks Cindy! I hope they’ll be able to check it out: the installation grows everyday until November. It’s beautiful and really moving.